Munich Airport CEO’s contract extended yet again: Dr. Michael Kerkloh has been granted an early extension of his appointment as President and CEO of the Munich Airport operating company, FMG, for an additional year by the airport’s supervisory board. As a result, Kerkloh (63), will remain as the head of FMG through to the end of 2019. Thomas Weyer and Andrea Gebbeken will also remain as managing directors. 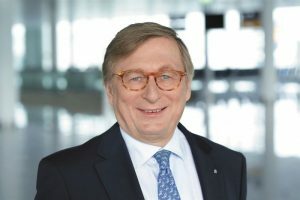 Dr Michael Kerkloh has served as Munich Airport’s top executive since September 2002. He is FMG’s president and CEO, and is also the company’s labor director. Under his leadership, Bavaria’s gateway to the world has moved up to join the ranks of Europe’s top air transportation hubs, with annual traffic exceeding 42 million passengers in the most recent operating year. The airport has responded to the steady growth in passenger demand with several major expansion projects to increase its handling capacity. The last big project was the new satellite building, which FMG jointly opened with Lufthansa, on schedule and within budget, in April 2016. This increased the airport’s total capacity to over 50 million passengers per year. A further affirmation of Munich Airport’s success are the many honors and awards that it receives on an ongoing basis. Over the past 12 years it has been selected as the “Best Airport in Europe” 10 times in the World Airport Awards presented annually by the London-based Skytrax Institute. Moreover, since 2015 Munich Airport has boasted the “Five-star Airport” seal of approval, also awarded by Skytrax, in recognition of its outstanding service and the overall passenger experience, and remains the only European airport to earn that coveted title to date.